Coldplay in Montreal or Quebec City? Inform me about the next events for Coldplay. Enroll yourself to our priority waiting list for Coldplay to be alerted when new tickets are available. Filling this form doesn't engage you to any purchase. Coldplay will be visiting us on August 8 and 9, 2017 for a concert at the Bell Centre ! 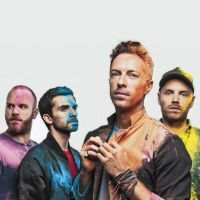 The rumours were true : Coldplay will finally be stopping by Montreal on their A Head Full Of Dreams Tour. The last time Coldplay performed in Montreal was on July 27th, 2012, at the Bell Centre. Coldplay has released a new album last year : A Head Full of Dreams. One of the most exciting rock bands of their era, Coldplay is a must-see live. Don't miss 'em when they come back to Montreal !